My post today is a big, happy, huggy THANK YOU!!! Thanks to YOU and to all the readers who picked it up the first week it was out, Fonduing Fathers is #19 on the New York Times Bestseller list. Woo-hoo!!! This is the sixth in the series, and number five, Affairs of Steak, made it onto the "extended" bestseller list last year. But this year we hit THE list!! I've been dancing around here ever since I heard the news. This means that the publisher (Berkley) will now start adding "New York Times Bestselling Author" to my book covers. They don't do that until you crack the top 20. Can you see why I'm so excited? 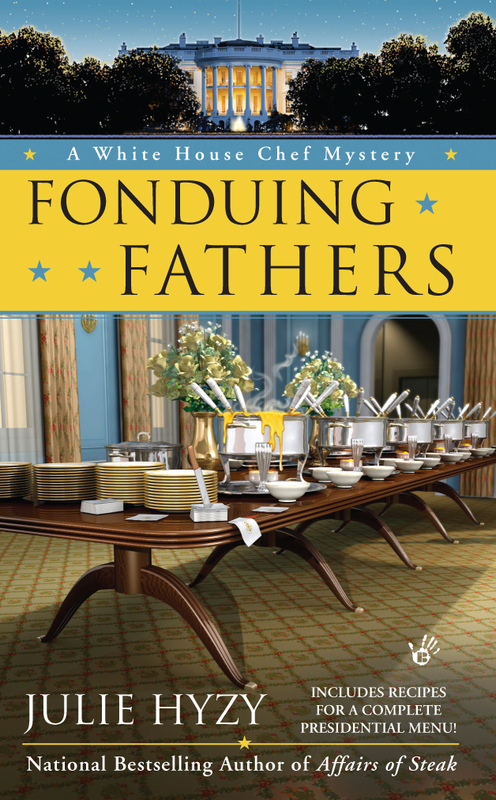 What's more: Fonduing Fathers hits the list this Sunday, January 20th. That's Inauguration Day. 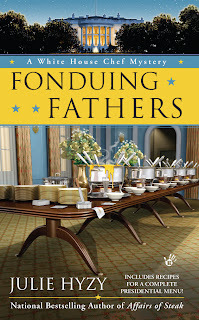 How appropriate for a White House mystery! Thank you so much for reading, reviewing, emailing, and all the lovely congratulations on Facebook! You are the best!!!! How exciting to make the list. Congratulations! That is so awesome! I love that series, but then again I also love your Manor House mysteries too. You should celebrate with a Inauguration Day Fondue Party! It is exciting, Ann!! I'm absolutely thrilled! Jeannie - thank you! What a great idea! We just got a brand new fondue pot, too. How perfect is that! Congratulations on making the top 20! Congrats! That is a huge honor and so exciting! I'm very happy for you. I just bought it and the other four that I did not have at my local independent book store. I look forward to reading them and perhaps re-reading Eggsecutive Orders which I loved. I don't know why I did not buy the others sooner. I second the inauguration day fondue party. I have 4 fondue pots that I haven't used in ages. I think it's time to get them out of the cupboard and fire them up! Congratulations. I plan to get a copy soon. My money is limited and I have to budget carefully for books. Yeah, congrats Julie! I am very happy for you!